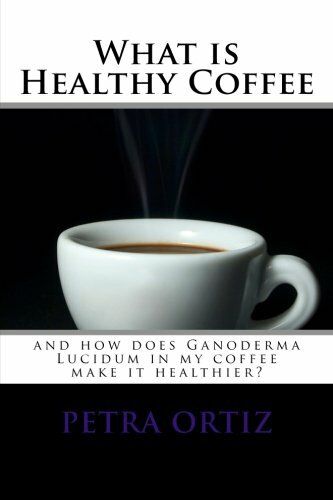 What is Healthy Coffee and how does Ganoderma Lucidum in my coffee make it healthier: large print and black and white images. Learn how Ganoderma . green tea and hot chocolate can help anyone. Large Print, Black &amp; White version of Original Title. Learn about Healthy Coffee, Ganoderma Lucidum, as an herbal remedy and supplement, and how it has helped people around the world coincidentally with various issues, how to consume it, what products are currently available. One of the newest concepts is that of 'healthy coffee'. There are many brands available, but this book is meant to give information on one particular brand, which combines gourmet coffee with a very special ingredient. You will learn what that is, and how it has helped others. You will also learn how to consume it, what types of products are available currently, 'Coffee Scenarios', money and time-saving tips &amp; ideas, advice and personal testimonials and 'how-to' guide on sharing the concept. Includes over 45 black and white coffee images. Some people consider this a miracle. I do. You may, if you decide to try it for yourself.